Optional Caster Brakes, Security Tops, and Nameplates available -- call for pricing. Containers are collapsible and stackable. Can be stacked 4 high fully loaded with product. Two styles of stacking feet, open foot or closed foot. 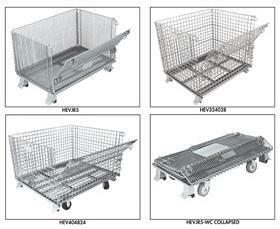 Available with or without casters. Wire material is electronic plated for long life. No minimum order. FOB Shipping Point. The “Closed Foot” series of containers offers front gates with locking mechanisms. They stack 4 high fully loaded with product and offer visual inventory. 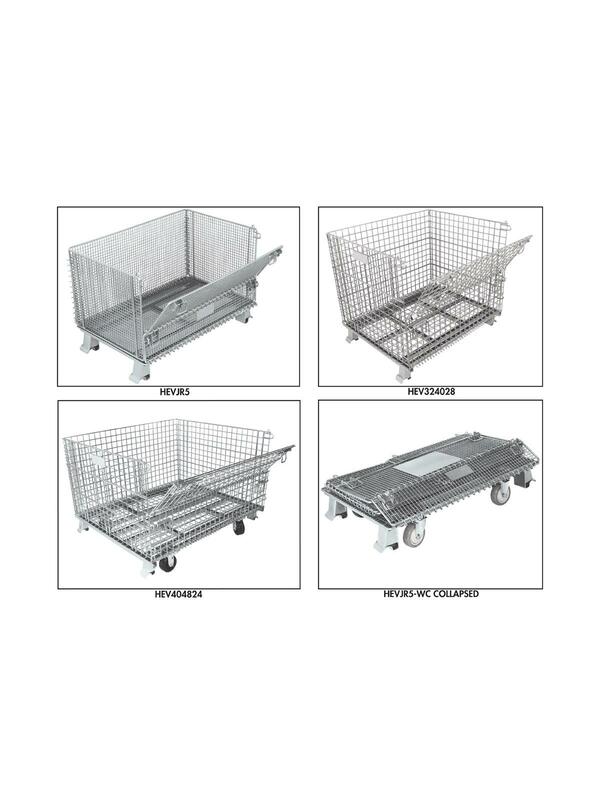 Collapsible when not in use for smaller storage area. 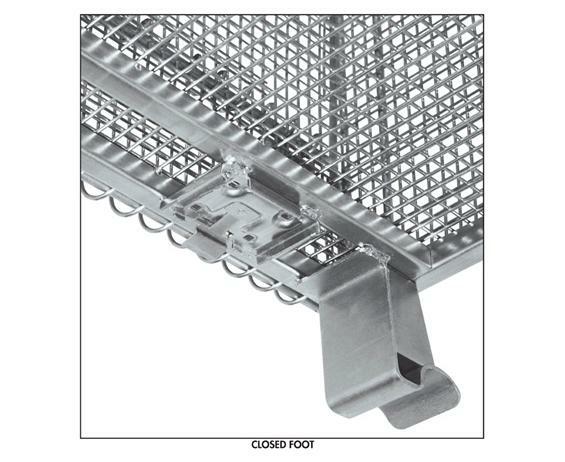 Smaller mesh sizes, and channel base under wire for added strength. Caster pads, with or without 2 rigid and 2 swivel 4" x 2" phenolic casters. Casters add 1/2" to overall height. 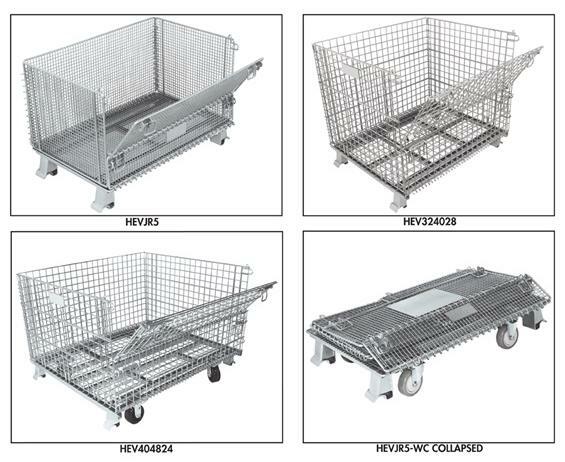 Model HEVJR5 has caster plates and optional 3-1/2" x 1-1/4" phenolic casters. FOB Shipping Point. See Related Items tab for Open Foot Container Series.